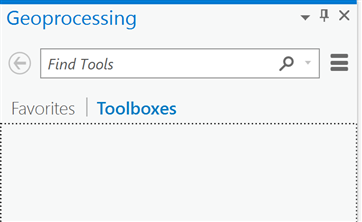 Finally, I cannot seem to see any toolboxes in the geoprocessing window. Am I going to have to uninstall and reinstall to fix this? Or is there some other way? I can offer no explanation as to what may have gone astray with your upgrade because mine from 2.1.3 to 2.2.0 went without a hitch. 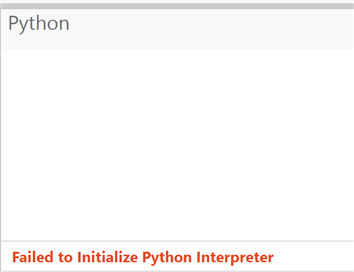 However, with the Python window failing to initialize I think the quick fix will be to uninstall/reinstall ArcGIS Pro which should make sure that it can find Python 3.6.5 in the expected location. I am sure that there will be other ways to fix this but the above procedure should have you up and back running in 30-60 minutes. One of your symptoms seems to match that at Toolboxes not appearing in ArcGIS Pro? so I am mentioning that question here in case resolving your or that question sheds any light on the other. Not the answer you're looking for? Browse other questions tagged python installation arcgis-pro or ask your own question. Toolboxes not appearing in ArcGIS Pro?